You're trapped in solitary. You think you manage to find a way out... But are you truly free? You are living in your awesome Space House, when suddenly, alien spawners come raining down from the sky! Explore vast caves, visit 2 planets with the spaceship, watch zombies kill villagers, and more! It's all in the ultimate survival map! Take a journey through Italy as you play as a famous adventurer (or one of his companions) on a quest to find Queen Margherita's Diamond and also learn a thing or two about Italy along the way. The 3rd Map to the Multi Colored Parkour series. You'll find out why its called "The Death Penalty". Still follows same order, of Red, Blue, Yellow, Green. 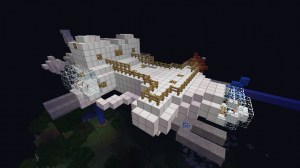 You have entered...The Ender Games, a parkour map really doesn't have any jumps at all! That's right! Instead of jumping, you must use ender pearls to complete the course! A survival world in-which you must escape the clutch of the Voyd; a capsule that has trapped you away from the real world. Here we go: the climb to Heaven 2! It is much longer and has command block checkpoints! Do you have what it takes to become...a Parkour Hero? In this free-roaming parkour map you will face many challenges and find many treasures! Find all of the hidden items to complete the map! A short, but difficult parkour map, with some jumps and some runs, you will enjoy it. 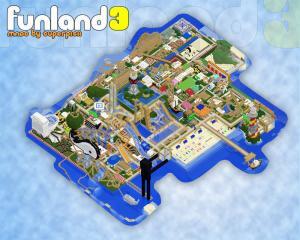 Welcome to Funland! A minecraft amusement park, featuring over a 100 different attractions. A survival PvP map where anything goes! No rules! Just kill each other!! Great fun for up to 4 players! A fun, biome themed parkour map with lots of mini checkpoints and only a few frustrating jumps. but hey, at least you reach Heaven at the end. Gabum's Golf is back with over 100 Holes on 10 Courses! But it's more than Minigolf: Many other challenges are waiting for you!